“All across the UK, Christians are engaging with their communities in incredible ways. “They are discovering that systems and structures need transformation as well as the people who are part of them. In short, they are realising the need to be political. We connect, equip and support those getting involved. Andy and Jon Kuhrt who is the co-author of the excellent Resistance & Renewal blog have kindly sent a report of the launch evening. Words are by Jon Kuhrt. 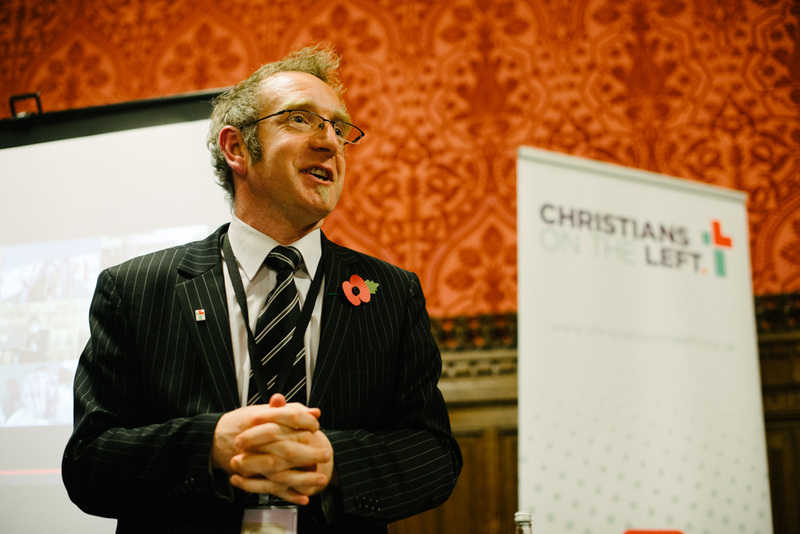 Christians on the Left, the new name for the Christian Socialist Movement, was formally launched in a packed room at the Houses of Parliament on November 5th. It was quite a night to be in that famous old building. Drawing inspiration from the most famous anti-parliamentary activism of all time, an anarchist demonstration was noisily protesting in Whitehall and Parliament Square at the same time. Numerous fireworks, aimed in the direction of Parliament, emerged from the sea of Guido Fawkes masks and exploded colourfully in the night sky around Big Ben. The scenario illustrated the challenge for contemporary politics of how it responds to the widespread discontent and anger with representative democracy. Can politics itself be redeemed? Can an inspiring movement for social justice emerge within the mire of mainstream politics? Christians on the Left will have a key role in this debate in the years ahead. No one can be under any doubt: faith is not going away. We have seen incredible growth of Christian social action nationwide through food banks, night shelters and community organising. Likewise, it will be faith and spirituality that will provide the energy and the moral compass for progressive movements for social justice. 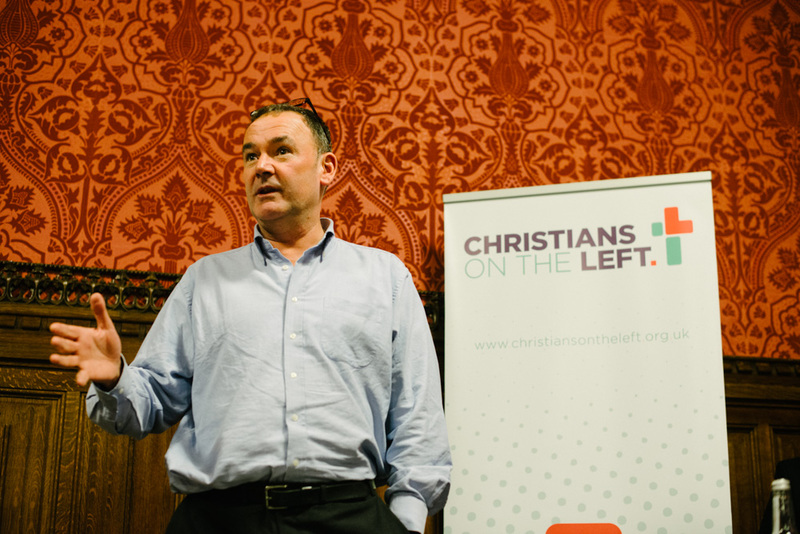 At the event, Labour’s Policy Coordinator, Jon Cruddas MP gave a historical overview of the importance of Christian influence within the Party. His enthusiasm and knowledge of the rich heritage was inspiring as he illustrated how Christians had influenced great characters of the party from Keir Hardie, to George Lansbury and Clement Attlee. Cruddas showed how the new name maintained the link with the rich heritage thatChristians on the Left can always draw on. Truly, the further back we look, the further forward we can see. After Cruddas spoke about the past, the infectiously passionate Suzy Stride, the Labour candidate for Harlow, looked to the future. 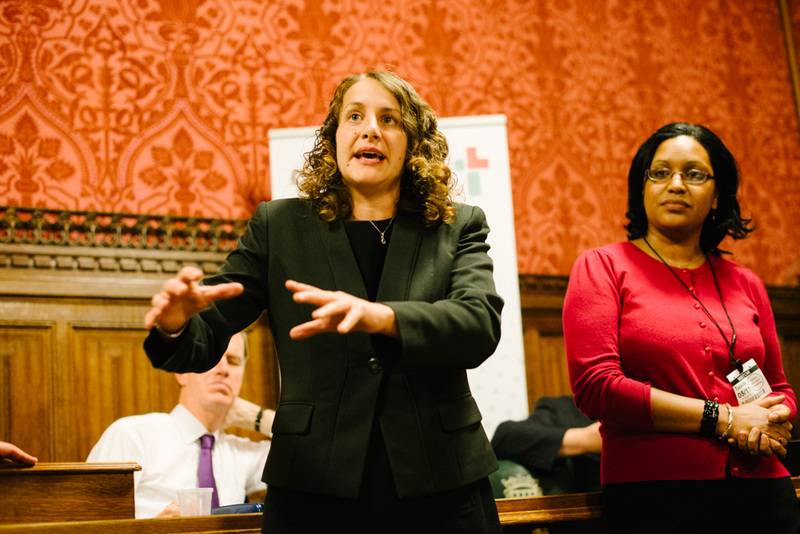 She shared personally about how her upbringing in Tower Hamlets fueled her desire to get involved in changing the structures of society to create greater fairness and opportunity. 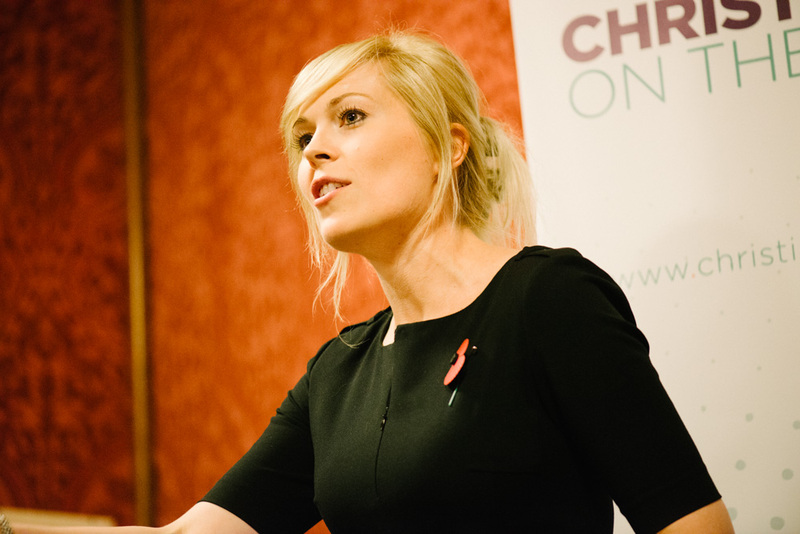 Then the writer and commentator Vicky Beeching urged everyone to take hold of how social media can be tool for social justice and encouraged a wave of tweets to be dispatched to illustrate her point. These younger speakers illustrated the youthful energy within Christians on the Left and it was reflected by the vibrant mix of MPs, candidates, church leaders and those who work for international NGOs or UK charities who were in the room. This was not a bunch of Westminster hacks but a group with the potential to create a significant movement. Gavin Shuker MP, a former church leader who at 28 became the MP for Luton, spoke about the need for Christians to be confident in their faith and to stand in solidarity with each other. The meeting itself embodied this: as well as the references to justice, there were many references to Jesus. It illustrated a significant spiritual confidence in Christians on the Left to be explicit about the person we seek to follow. We cannot be shy about our faith – we need to be confident about using both ‘J words’: our commitment to justice is rooted in our commitment to follow Jesus. “In first century Palestine, many also came looking for fireworks. An oppressed people came looking for liberation. They were hoping for a mighty explosion of energy and light that would restore their status as God’s chosen people, in charge of their own destiny. And it looked like this carpenter of Nazareth was going to light the touch-paper. They came looking for fireworks, but they got a story about something practically invisible. What they got was a man who said “The Kingdom of heaven is like a mustard seed”. He said, “This isn’t going to be fast. This is going to be slow. He said, “This isn’t going to start huge, it’s going to start infinitesimally small”. But something more durable and deeper was at work: the re-birth of a movement which has a rich past and a promising future. It made me excited to be involved and proud to be a Christian on the Left. OK, so someone help me out here. When we say Christians on the left, are we saying Christians who are members or participants within parties traditionally seen on the left of politics? Or are we saying this as a term to describe Christians with left wing principles? If it is the latter, then it could be the case that these Christian folk have slightly missed the point of their political calling. Christianity is above and beyond left or right wing ideologies, and any attempt to mix both together produces a skewed understanding of Christianity as a result. This may be less founded, but i feel Christians “on the left” (the term is starting to grate on me more and more!) while talking up on issues of Justice, may be less prepared to talk up on issues of morality, which is just as much an important area for our nation. If such discussions are not pursued, then the fullness of the Christian world-view and gospel cannot be present.